We woke up to a beautiful morning as we headed south to Pearl Harbor. I didn't really know too much about the detailed history of what happened here (I haven't taken a history class in years) so it was nice that we were able to watch a video about it (don't worry it's not that long, and pretty interesting). 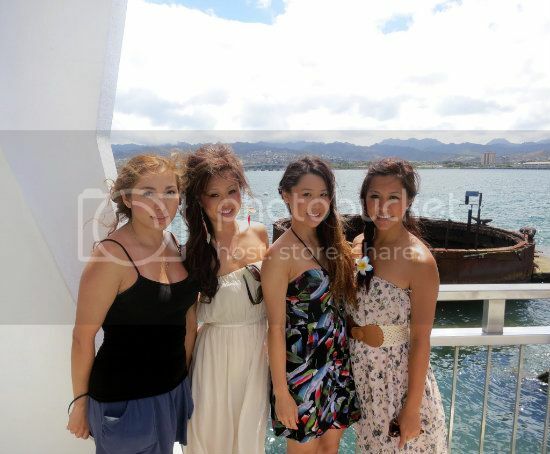 Afterwards we headed to a boat that took us to the USS Arizona Memorial which was built right on top of the ship! 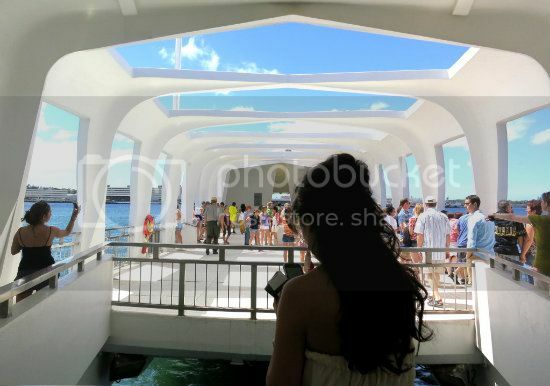 In fact, all the men who died on the USS Arizona are actually buried in the actual ship underneath the memorial (kind of creepy yet really fascinating at the same time - you're literally standing above the ship!). I don't know about you but being in a place where so much history has occured always intrigues me. It's like for a minute everything freezes and I somehow float out of my body and can picture what was going on back then. In that moment it's like I'm reliving a piece of history and that piece follows me even after I'm gone. Does that make sense? It's like visiting the Statue of Liberty and every time you see a picture of it, you remember being there. That "moment of reliving" happens to me quite often. Am I weird? Maybe. Anyways, let's go back to learning more about Pearl Harbor's history. 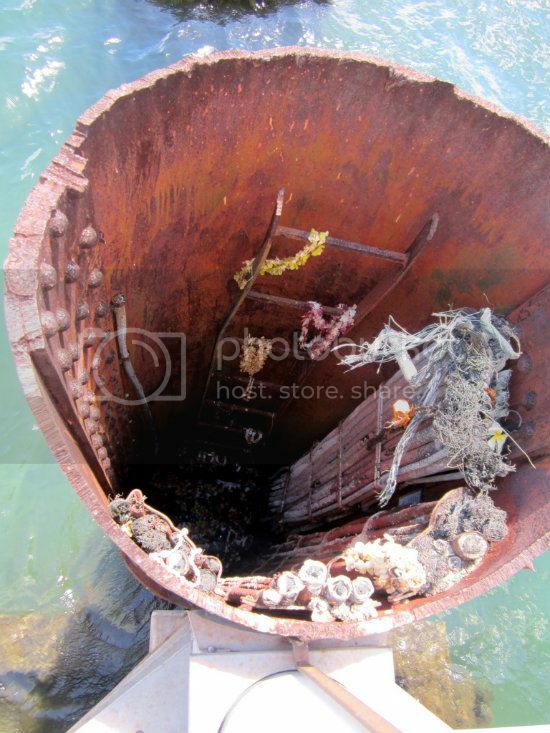 Since the USS Arizona ship was carrying almost a full cargo of oil when it was hit, which was an insane amount, it still leaks oil to this day! About three quarts of oil leaks daily to be exact. Isn't that crazy? Sometimes it's called the "black blood" of the ship, or so some say. 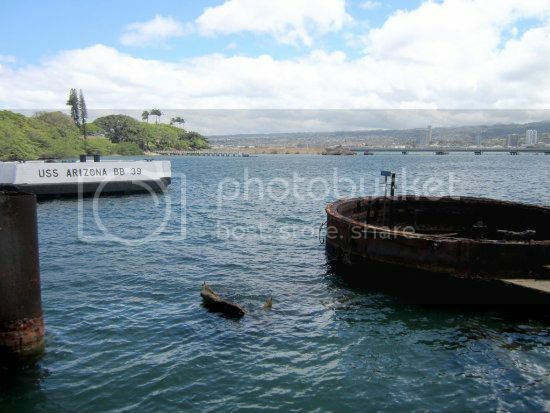 What happened at Pearl Harbor was an unfortunate tragedy. So we were glad to be able to pay our respects and give tribute to all the men who served. Their heroic stories will forever live on. 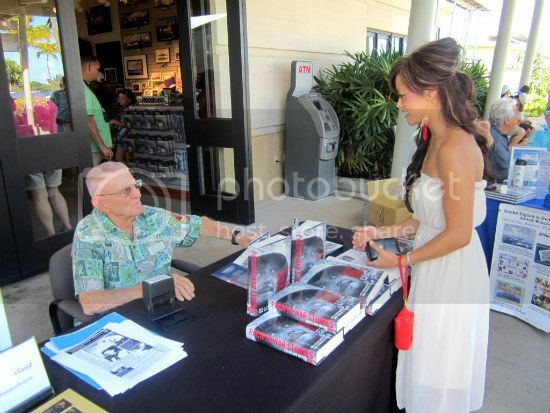 Of course we could not leave without a souvenir book about Pearl Harbor and were fortunate to have had the privilege of getting it autographed from one of the survivors from that day that will live in infamy. 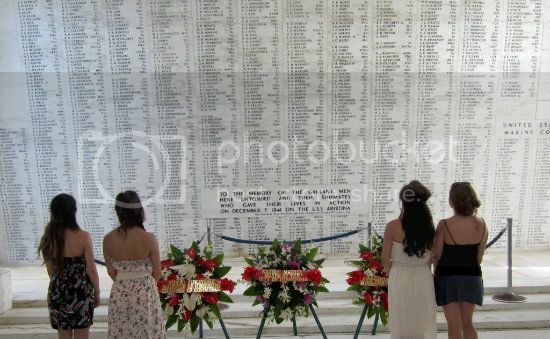 Pearl Harbor: Mourn. Remember. Understand. Honor. P.S. For those interested, buy tickets ahead of time (online if possible) and get there early cause once you miss the boat...well, you're just going to have to wait a long time til it comes back. One of those places where coming fashionably late is not a good thing. 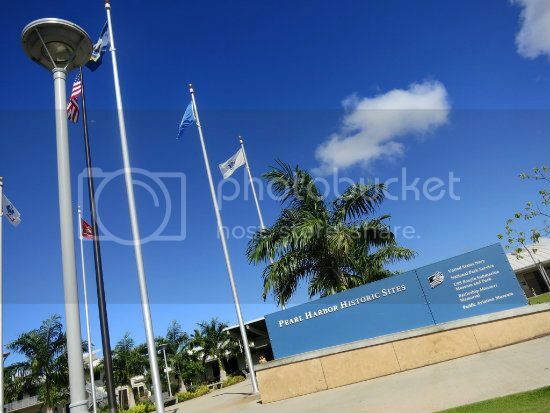 CHECK IT OUT: Pearl Harbor, 955 Waimanu St., Honolulu, HI. Tel: (808) 690-9052.